Hannibal , step aside. Fava beans never tasted this good! Yesterday, was time off from cooking, or so I thought. It was the 2010 Labor day holiday and I got to spend time with cousins and family, grilling, eating, and just chitchatting as if we were all auditioning for the next pulp fiction sequel. There was a funny thing about yesterday. While we ate, and there was definitely a decadent abundance on the tables - folks, note the plural here - , we just kept on talking about food, and recipes from the old country. Some of the discussions were borderline heated. "No, way your town had a tradition of making liver sausages. We were the sole exclusivists! ", said one of the invited guests, speaking with a lofty degree of judicial authority. 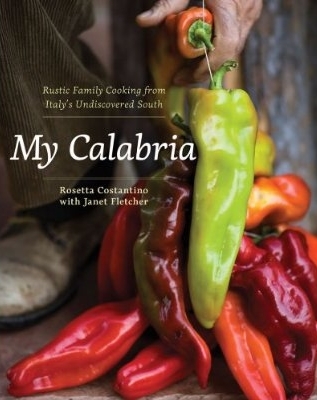 Is it that we, us Italian transplants, are all obsessed with our culinary tales ? On my end, we certainly try to stay away from talking politics, My views would not align with those of many of my Italian relatives; I will bet they would would go beyond calling me a liberal. So the default topic of discussion inevitably, usually falls back on to "ars culinaria". As expected, I was given some grilling duties. It always happens. "Mick, here's your apron", my cousin's husband said, an offer I could not refuse, if you know what I mean. Most of the meats had been already prepared or marinated. I got to practice some of the grilling techniques I had learned during my extensive steakhouse courses in NYC The good news, it all came back, just like riding a bike and the guests were satisfied. When all was said and done, the day turned out to be lots of fun. Hanging out with a bunch of Italian speaking folks is always something that I enjoy, especially when the weather cooperates, and certainly after pouring some good Negroamaro refills into my glass. Well, maybe my teenage fan club would have rated it bit differently. I wound down the day by cooking some fava beans for the day after. These would be the prime ingredient for todays dish. Let me warn you , the fava bean peeling took over half hour. It was fun, but next time I think I will ask for a helper. For some extra kick , add a Calabrian hot chili pepper in EVOO. Eat hot, and make sure that the cheese is at least partially melted. Un-Imaginable, that's all I have to say. Fava beens nevered tasted so good. Sorry doctor Letcher, no Chianti, and definitely no liver.